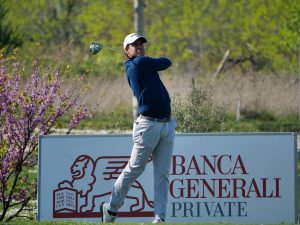 It took only four tournaments to Italian rookie Lorenzo Scalise to catch his first win as a pro in the first edition of New Giza Open, on the spectacular New Giza course in Cairo (Egypt), with a total of -12 and one stroke advantage, the same he had after the second round. It was not an easy path for Scalise, though, because Dutch Lars Keunen had no intention of giving up at any time, after he signed a 65 yesterday, and so they went head-to-head scoring both 70 (-2) on the last round ; Spaniard Xavi Puig Giner popped up from behind – he was tied 9th at -4 after 36 holes – matching the course record 65 and joining the two leaders for a short time, and then settling for second place tied with Keunen. 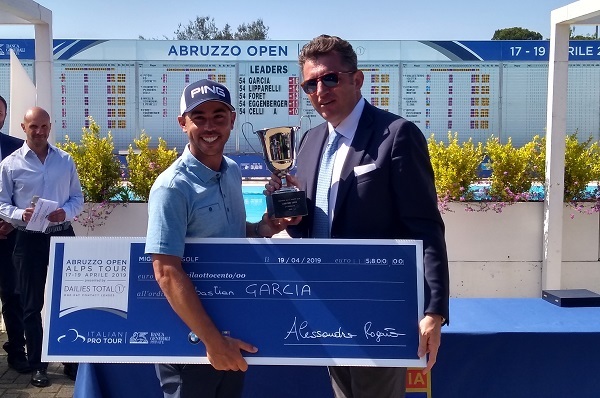 Scalise, 23, turned pro at the end of last year and gained access to the Alps Tour at the Qualifying School last December with a category 6 which gave him right to play all the tournaments in the 2019 schedule, and now he has jumped to category 1 – those of winners. « If it had been the first round, I must say I wouldn’t be too happy about my game because it was kind of crappy at times – said Scalise – I hit two balls in the water on 11 and 14, but in the end I won the tournament! So I’m really happy and it was a good fight until the end, when the birdie on 17 gave me the advantage I needed to win. It is such a nice feeling, last time I won it was back in 2017 as an amateur, a college tournament in the U.S.A., so being able to be solid at the beginning of my pro career makes me very happy ». 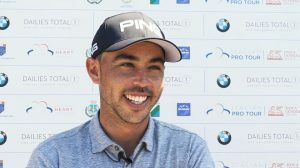 Keunen, 21, is on his second season as a pro, and last year had two top 5 out of 12 tournaments played : « Today it was a really close fight between Lorenzo and me, and when on 13th we saw that another player had reached us on -11 I told myself ‘come on, we’re going to catch that guy !’. In the end Lorenzo finished one stroke better than us, a well deserved win for him. 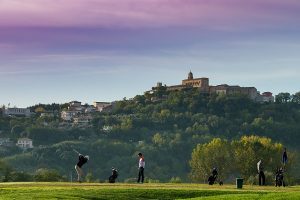 It was a very good tournament in all, on a great course with probably the best conditions we’ve ever had on Alps Tour lately ». Xavier Puig Giner, 30, from Barcelona (Spain), scored a bogeyfree round : « I knew there were many players in contention, and that with a lot of wind anything could happen, so the chip in at the first hole gave me a lot of confidence. I really played well the whole round, always on the fairway with my drives and on the greens in regulations, I’ve also made a very long putt from 15 metres ; it was one of those days when all goes well. I worked especially on the mental side of the game, sometimes you need to forget about the result and concentrate shot by shot, and I’m happy because I was able to do that and finish with a birdie on 18 » – so to tie the course record 65 (-7) signed yesterday by Keunen. 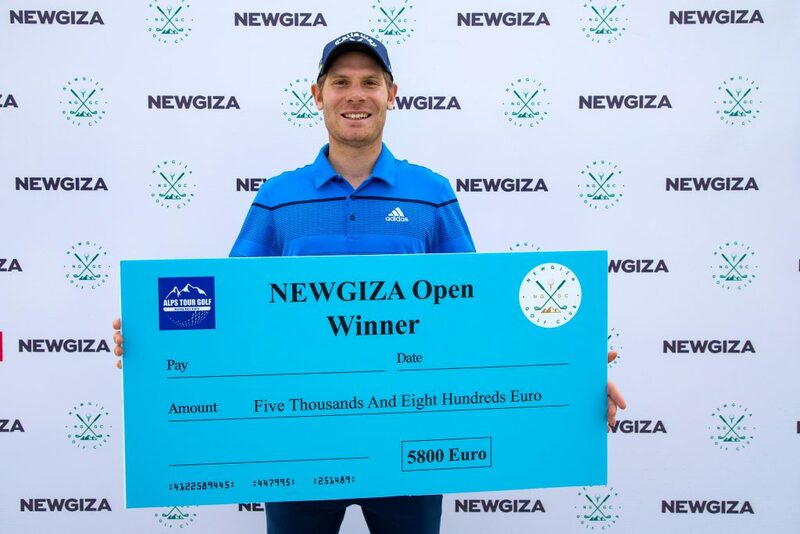 Scalise’s cheque is worth 5,800 euros, and the young Italian is now leading the Order of Merit with 9,295.38 euros and a very small margin over Austrian Lukas Nemecz. 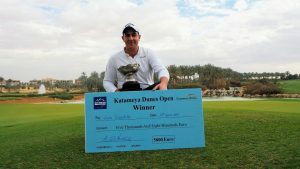 Alps Tour schedule will resume in just three days for the last of the Winter Series tournaments, Katameya Dunes Open (4-6 April), on another great venue in Cairo and for the same prize money, 40,000 euros.